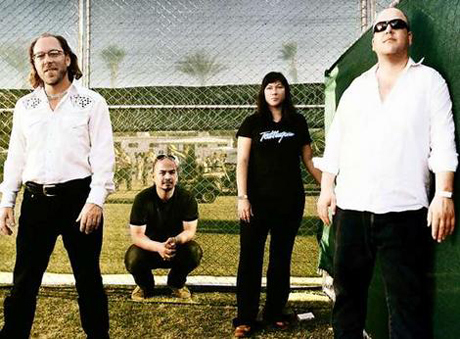 Long-standing alt-rock quartet the Pixies are offering up a four-track live EP for free download. The EP includes the tracks Dancing The Manta Ray, Monkey Gone To Heaven, Crackity Jones and Gouge Away, which were recorded during the band's recent tour in honour of the 20th anniversary of their sophomore album, Doolittle. Download the live EP for the price of an email address below.